Fraudster are great tricksters, and will try to convince you of anything to deceive you. These con artists are great story-tellers, and can really sound believable. They are prey upon your emotions choosing something that you may hold dear to your heart like in this case a grand child in trouble. “Who wouldn’t want to help a family member in distress”, says fraud expert Linda Webb. Fraudsters love all demographics and in this case an unsuspecting grandmother, who thought her grandchild was in trouble. Fraudsters encourage you to act fast or something bad may happen. Naturally this causes fear and panic, which is exactly the behavior the fraudster is hoping for. When in this emotional state most people do not stop to ask questions or think clearly. Victims may often times make quick decisions , and won’t stop to do their due diligence. Remember that if you get a call like this case, reach out to your local law enforcement for assistance, says Linda Webb the Fraud Dog. 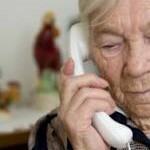 Sedona AZ (February 2, 2013) – Even with ongoing media notifications and community alerts by crime prevention officials to residents throughout the county and country, the “Grandparent” telephone scam continues to victimize our senior citizens. The calls originate from locations all over the world. Please share this information with seniors in your family or those under your care. Social networking sites are the most likely source for suspects to gain knowledge of family members, which lends believability when conversing with victims. Social network users need to be cautious when posting personal and family information and when networking with family members. On January 28, 2013, Yavapai County Sheriff’s Office deputies met with a female victim at her Prescott, Arizona, area home regarding the “Grandparent” telephone scam. The victim told deputies that a few days prior she received a phone call from someone who identified himself by name as her grandson. She noted that the voice sounded like her grandson. Her “grandson” explained that he was arrested while on spring break and needed bail money. Another voice then came on the phone with instructions to secure her “grandson’s” release. This man identified himself as William Reid and explained that he was part of the court system in the nation of Trinidad and Tobago (an island off the coast of Venezuela) and directed her to wire $1505 to a specific address in his country. The victim went to a local pharmacy and wired the money as instructed via MoneyGram. She also obtained a PIN code for the transfer which she later gave to the suspect (caller). This PIN would allow suspects to access money remotely from anywhere. The phone number provided by the suspect indicated an account based in Canada.